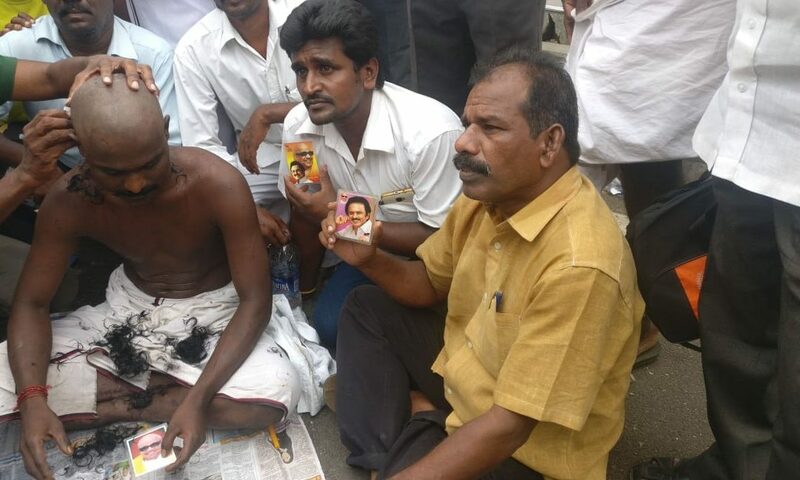 A wave of prayers, demonstrations of camphor-vermilion piety, and mass worship with participation of DMK functionaries and cadres in front of Kauvery hospital where DMK president and self-styled rationalist leader M Karunanidhi is battling for life, has brought about the crumbling of yet another wall of rationalism in the State. Votaries of atheism had taken pride in the deep roots of rationalism believed to have been adopted by the Dravidian movement, especially by the parties DMK and AIADMK which claimed to follow in the footsteps of rationalist leader E V Ramaswami (Periyar), founder of Dravidar Kazhagam. The Dravidian movement suffered a huge setback when thousands of AIADMK leaders and workers participated in prayers and superstitious beliefs to seek divine intervention and save the AIADMK founder M G Ramachandran (MGR). The prayer song in Oli Vilakku, MGR’s hundredth film, sung by P Susheela for the film, Aandavanae Un Paadhangalai, was played all across Tamil Nadu. 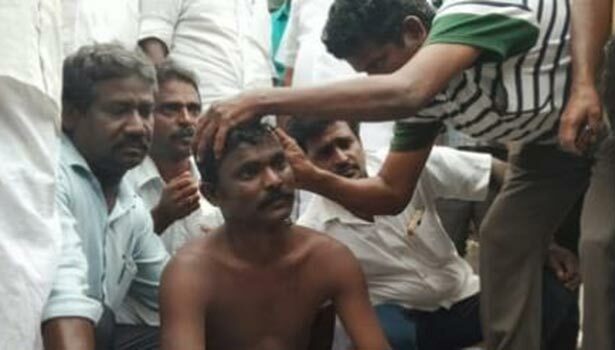 AIADMK cadres thronged various temples in the State, some ministers tonsured their heads, a minister did Angapradakshanam, one beat herself up with neem leaves to propitiate the gods, another minister ate a meal of mud, and others offered milk abhishekams at various temples. MGR was himself a believer but had to don the cloak of rationalism in a party that was deemed to be part of the Dravidian movement. The flood-gates of belief and piety were opened then, and the behind-the-scene prayers in private were seen in the open. The AIADMK cadres shred their disguises and came out in the open in favour of piety. The Dravidian wall of rationalism suffered another breach when Jayalalithaa was unwell in 2016 and admitted to a Chennai hospital. Ministers, party functionaries and cadres offered prayers, milk abhishekams etc hoping for a recovery of their leader. Jayalalithaa had no inhibitions in flaunting her faith in God. She had ordered annadhanam in temples every day, for which a hefty sum was set apart by the State government. Rationalism has again taken a hit these last few days after the hospitalization of Karunanidhi. 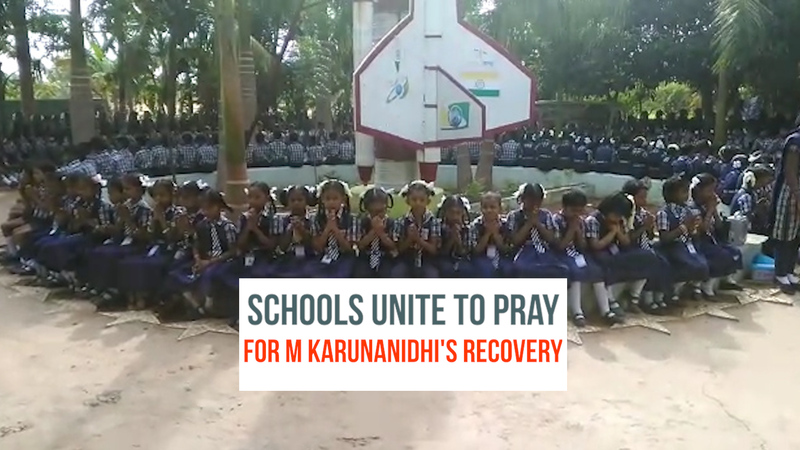 DMK functionaries and cadres have been displaying their prayers in public. Special worship is being offered in temples. DMK functionaries are taking part in mass worship in temples. Dravidar Kazhagam general secretary K Veeramani, expressing shock and dismay over these incidents, has pointed out that their atheist leader is a non-believer and so they must desist from undertaking “distressing rituals” seeking divine intervention to heal him. In a lengthy article in the DK organ, Viduthalai, Veeramani said “Kalaignar is undergoing treatment in hospital due to infection and age-related ailments. He is recovering due to proper medical treatment. Using this as a pretext, the enemies of rationalist principles could try to inject their religious superstitions which were stoutly opposed by Kalaignar. We must be vigilant against this”, he said. Veeramani said, “It was distressing to find on TV the picture of someone breaking a pumpkin in front of the hospital. It was also disturbing to find a newspaper photo which showed DMK district secretary T.M. Anbarasan and organising secretary R.S. Bharathi, a Rajya Sabha member, taking part in a mass worship for Kalaignar’s well-being. This should not spread like a dangerous infectious disease. “Some persons could try to inject the superstitious dramat seen during Jayalalithaa’s hospitalisation into the DMK also. Veeramani said adding this should be prevented. However, while Stalin has not commented about Veeramani’s comment, former Mayor of Chennai Corporation and a DMK leader, said people were free to pray in accordance with their beliefs and ways of worship. We must not criticize or try to block their way of worship. No other leader in the country has had this kind of widespread support. People cutting across religions, castes and other divisions were praying for the health of Kalaignar, and it would be wrong to try and block it, he added. The DK and the DMK were locked in a similar war of words in 1987 when the Karunanidhi statue on Anna Salai was desecrated. Even after several weeks, the DMK did not try to restore the statue to its original shape. Veeramani then issued a statement that Karunanidhi should restore the statue, as inaction on the part of the DMK would give the impression that it was succumbing to superstitions (there is a general superstititon that living persons should not allow their statue to come up during their life time). Veeramani said it could be misconstrued that Karunanidhi having allowed his statue to come up when he was alive believed that it brought him bad luck as he lost power after installation of the statue. Therefore, to dispel such an impression, Veeramani, said Karunanidhi should restore the head and other parts of the statue. In a rejoinder, Karunanidhi said he did not want the statue in the first place. The desecration having taken place, he did not want his statue to be re-built. However, Veeramani retorted that Karunanidhi must re-build the statue to remove the impression that he believed in the superstition. Karunanidhi said everyone knew that he was a rationalist, and he did not have to prove it. The war of words went on for a few days, after which it ran out of steam. Veeramani’s comments yesterday had also been supported by other DK activists like Suba Veerapandian, founder of the Dravidar Iyakka Tamilar Peravai, who tweeted that Karunanidhi was proud to call himself a rationalist and as a product of the Self Respect Movement, was against such rituals. However, some DMK cadres continued their rituals even in front of the Kauvery hospital, ignoring the statements of DK leaders. 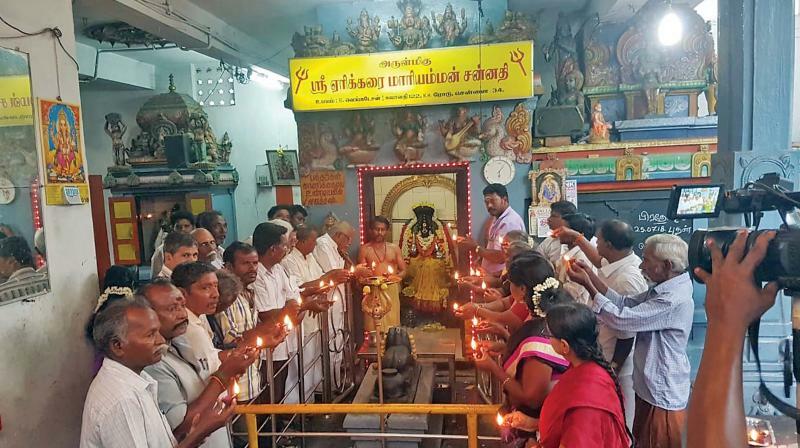 With AIADMK leaders and cadres taking part in public functions of worship and prayers, including in temples, and the DMK now following suit, rationalism appears to have taken a back-seat in the land of Periyar. 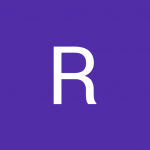 This topic contains 0 replies, has 1 voice, and was last updated by Rangaraj 8 months, 3 weeks ago.